The Buffet Crampon E13 Clarinet is the perfect choice as a step up instrument for advancing musicians who are looking to start a career on clarinet. Including a Grenadilla wooden body silver plated mechanisms undercut tone holes and a bell designed around the RC model this instrument has many features of the professional models and sounds just as good. Included in the package is the new style case mouthpiece ligature and reed – everything you need to get playing straight out of the box. The Buffet B12 Clarinet is a fantastic choice for beginners and advancing clarinetists looking to purchase a high quality instrument. Recommended by teachers the Buffet Crampon clarinet is made of ABS making it lightweight and durable but with fantastic tone and intonation. Included with this clarinet is a back pack gig bag along with a Buffet mouthpiece ligature and a reed. The Buffet Crampon 400 Series Alto Saxophone offers the highest qualities achievable on a student instrument. With improved mechanisms on the lower pads of the instrument as well as a ribbed body construction this instrument gives a focused sound. Included with the saxophone is a hard wooden shell case along with a mouthpiece ligature and reed. The Buffet Crampon 400 Series Tenor Saxophone offers the highest qualities achievable on a student instrument. With improved mechanisms on the lower pads of the instrument as well as a ribbed body construction this instrument gives a focused and toneful sound. Included with the saxophone is a hard wooden shell case along with a mouthpiece ligature and reed. The Buffet Crampon E13 Clarinet is the perfect choice as a step up instrument for advancing musicians who are looking to start a career on clarinet. Including a Grenadilla wooden body silver plated mechanisms undercut tone holes and a bell designed around the RC model this instrument has many features of the professional models and sounds just as good. Included in the package is the new style case mouthpiece ligature and reed. Perfect for the advancing student or hobbyist. The Buffet Crampon R13 model is one of the most popular professional clarinets available. Praised for its focused and rich tone that is powerful in all registers the instrument lends itself to many genres of music and repertoire. 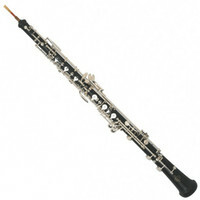 This instrument is the Staple Professional model Clarinet and is appropriate for the serious and developing musician. The Buffet Oboe offers the student a chance to play on a high quality instrument with a thumbplate system that is taught throughout the UK. Featuring an African Blackwood Body simplified design on the Conservatoire Key system and a host of accessories this instrument will help any student on the road to professional musicianship. The Buffet Crampon RC Professional Clarinet is a fantastic choice for players who are looking for the next step up in their musical career. With an instrument designed by the famous luthier Robert Carree the RC boasts a sweet and focused sound which is homogeneous throughout the range of the instrument. Also included in this bundle is a ligature and reed along with a hard carry case. The Buffet Crampon RC Professional Clarinet is an ultimate choice for players who are looking for an instrument with supreme professional qualities. An instrument designed by the famous luthier Robert Carree the RC Prestige boasts a carefully selected African Blackwood body which gives a fantastic tone. Also included in this bundle is a ligature and reed along with a hard carry case. The Buffet B12 Clarinet is a fantastic choice for beginners and advancing clarinetists looking to purchase a high quality instrument. Recommended by teachers the Buffet Crampon clarinet is made of ABS making it lightweight and durable but with fantastic tone and intonation. Included with this clarinet is a back pack gig bag along with a Buffet mouthpiece ligature and a reed.This item is an ex showroom display model. There are light scuffs and signs of use around the casing. The original boxing and manual are not included.Otherwise the unit operates as new. This is a great opportunity to buy a fully functioning product at a discounted price supplied with a one year warranty. The Buffet Crampon E12F Clarinet is a perfect choice for students who are advancing and wish to acheive the glorious tone produced by a wood. Made from a treated Grenadilla body and silver plated mechanisms the E12F offers students and advancing players everything they need to progress right through the graded exams and beyond. Also included is a gig bag along with mouthpiece ligature and reed. 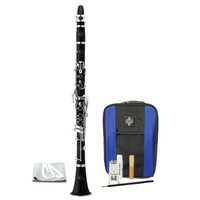 The Buffet B12 Clarinet players pack is a fantastic choice for beginners and advancing clarinetists looking to purchase a high quality instrument. Recommended by teachers the Buffet Crampon clarinet is made of ABS making it lightweight and durable but with fantastic tone and intonation. 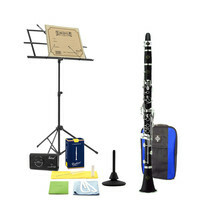 Included in this pack is a set of accessories to make learning the clarinet even easier including spare reeds music stand and a maintenance kit. The Buffet Crampon RC Professional Clarinet is an ultimate choice for players who are looking for an instrument with supreme professional qualities. An instrument designed by the famous luthier Robert Carree the RC Prestige boasts a carefully selected African Blackwood body which gives a fantastic tone. Also included in this bundle is a mouthpiece ligature and reed along with a hard carry case. br>This item is an ex showroom display model. There are light scuffs and signs of use around the casing. The original boxing and manual are not included. Otherwise the unit operates as new.This is a great opportunity to buy a fully functioning product at a discounted price supplied with a one year warranty.Software bundled with the original new product may have been registered or may no longer be included.